Recover the look of firm skin, smoothed wrinkles, and uneven skin tone caused by aging and the environment. 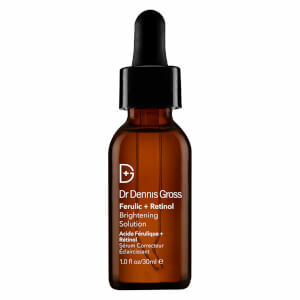 NYC dermatologist, Dr Dennis Gross Skincare formulated this potent anti-aging serum to deliver a time-released dose of retinol overnight to support skin‰Ûªs natural repair process. Make the most of your beauty sleep with this synergistic combination of retinol + ferulic acid and skin-perfecting niacinamide that retextures skin for a more flawless complexion. Nightly, massage 2-3 pumps into clean, dry skin. For optimal results, use following your Ferulic + Retinol Wrinkle Recovery Peel. Follow with any moisturizer of your choice from Dr. Dennis Gross Skincare. I've used SkinMedica Retinol 1.0 for years, but this Ferulic & Retinol Overnight Serum showed an improvement in my 75+ year old skin in less than a week. Some of my fine wrinkles have almost disappeared! At this age, I won't say my complexion is flawless, but it certainly been given a 20 year roll-back! Highly recommended. 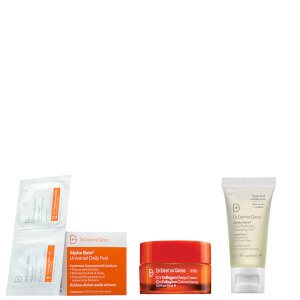 I really trust the Dr. Dennis Gross brand and I like almost every product I have tried. And this new Overnight Serum is my new lover now. Since I am over 25, I was looking for some products for anti-aging and then I found this one. It's so amazing when the second morning I woke up after the last night I used it. I feel my skin is GLOWING! Love it.